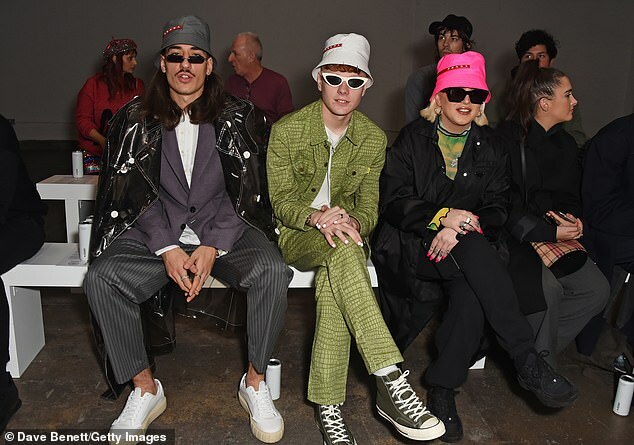 Arsenal defender Hector Bellerin spent another day at London Fashion Week on Sunday, taking a front row seat at a Christopher Raeburn show. 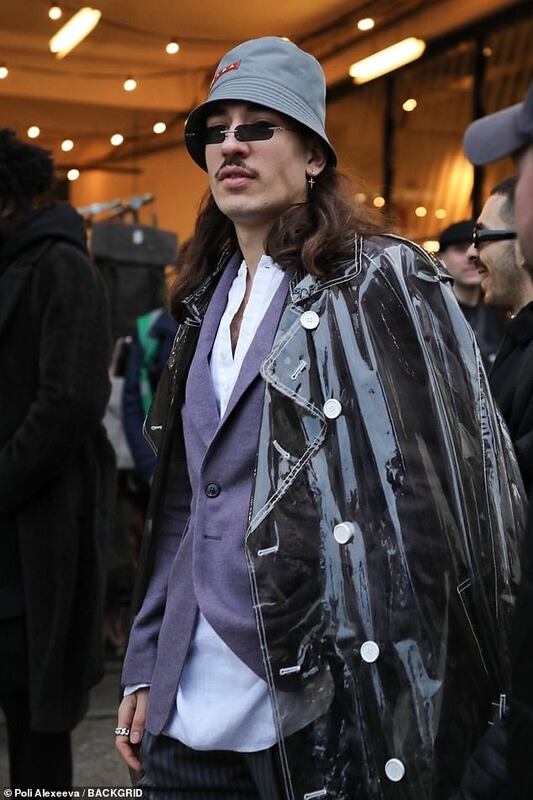 The defender has developed a reputation as a maverick with his enigmatic fashion sense and is well known for his love for clothing. 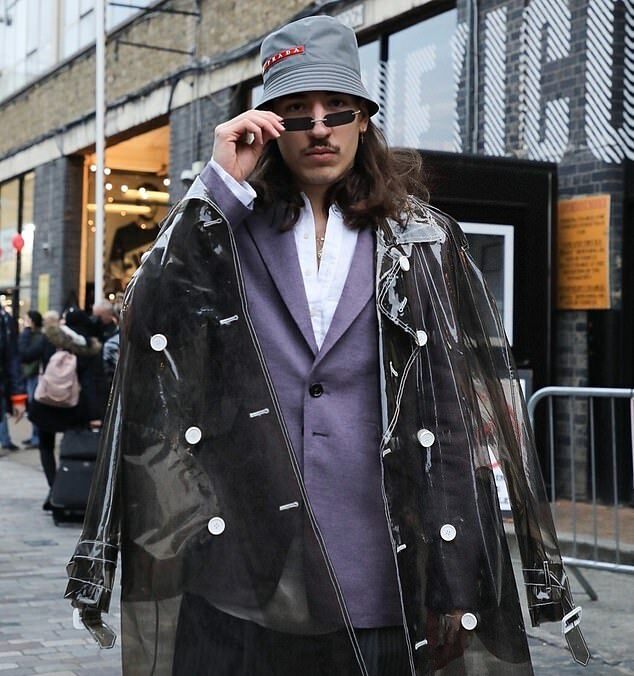 Sunday was no different as Bellerin donned an eccentric look while attending the catwalk show in Covent Garden at London Fashion Week – which he has attended for the past three January’s – and posed a picture with model Leo Mandella. 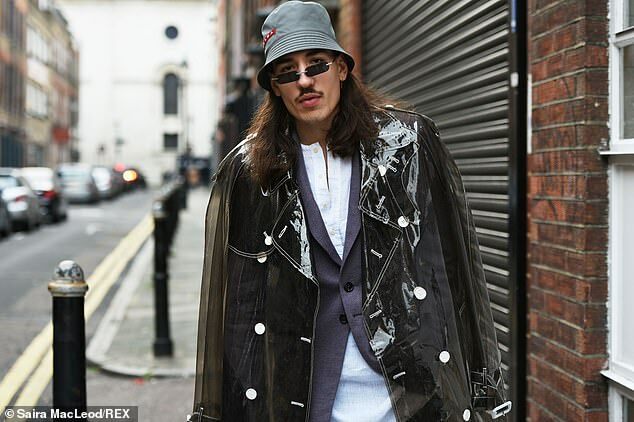 Bellerin recently discussed his passion for fashion and told Mundial: ‘I don’t believe that there’s a footballer out there that only thinks about football. ‘I just don’t believe it. People have different passions, people have hobbies, people have lives outside their job, and nowadays it seems like the only thing we are allowed to do is train and play football. ‘Football has always been my number one thing, but I have other things in my life, like fashion, which is something that has always been in my family. When I see people saying things like !He just dresses like that because he wants attention”, it hurts a little more. The Spaniard, who has now missed Arsenal’s previous six matches, is still nursing a calf strain he picked up last month and is not expected back for another week. He has been making the most of his time off and caught up with former team-mate Serge Gnabry earlier this week as the two took a trip out to the zoo. Despite his absence at Bloomfield Road, Unai Emery’s young Gunners side managed to breeze past Blackpool without any trouble thanks to a brace from Joe Willock and an Alex Iwobi strike to advance into the fourth round of the FA Cup.